fun and memorable night with bf! 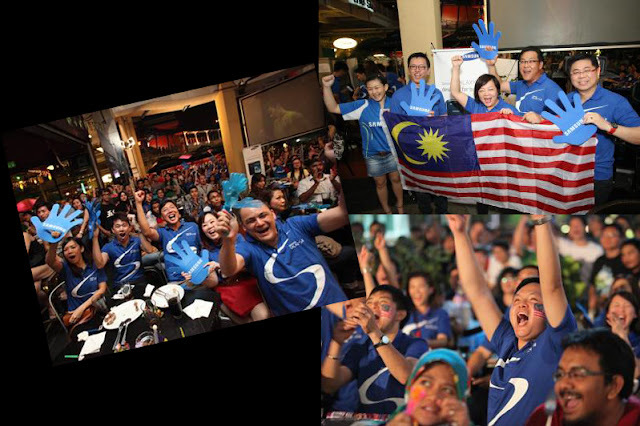 Last Sunday, the Olympic badminton match between our hero Lee Chong Wei vs Lin Dan was the talk of the town. I can't remember how excited and nervous I felt watching the game go on. It was SO CLOSE yet so far. I'm saddened but also happy because despite not getting a Gold Medal, we still got a Silver Medal! (OH YEAH BAYBEH!). And lost by 2 points so? 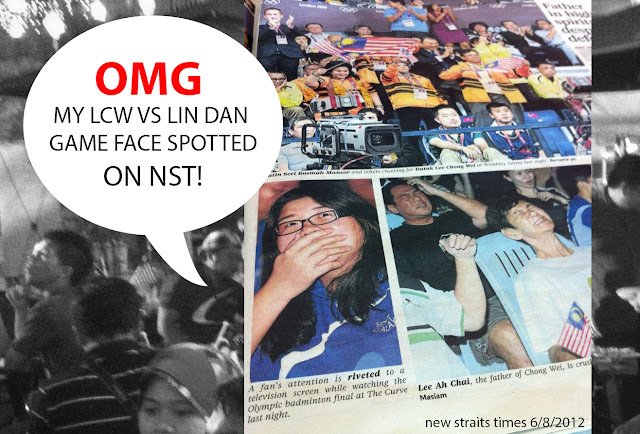 this shows how match up LCW and LD is! The happiest moment of all? I watched the battle with my boyfriend who suddenly agreed to follow me to Samsung's event at The Laundry to support Lee Chong Wei. Bonding moment hehe! but our eyes were glued to the projector screen and not at each other and guess what? I didn't realize my face was caught in action by NST's photographer, in this angle somore. Must be... I was like watching horror film? well yeah I did hide behind my hands during the last seconds of the game. In celebration of Dato’ Lee Chong Wei’s inspiring sportsmanship, Samsung announced that it will be offering a 10% discount for the Samsung GALAXY S III on Wednesday, August 8. 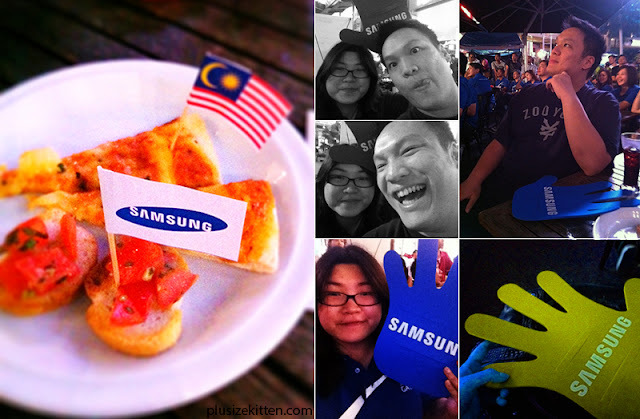 The one-day promotion is limited to one unit purchase of Samsung GALAXY S III per customer and is only available at 35 Samsung Elite Partner (SEP) brand shops nationwide. For location details of Samsung Elite Partner (SEP) brand shops, please visit www.samsung.com/my. Soooo kancheong!!! Idhhh wonder what happens if we won?